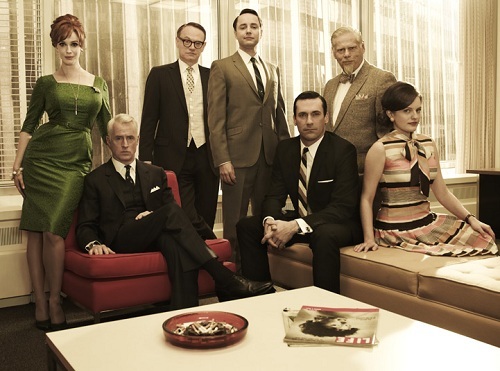 From Mad Men to Math Men: Why Big Data Analytics May Not Be For You, Just Yet. Do you remember when marketing was associated with inventing original slogans and funny TV commercials? The image of the marketing team as the creative bunch in the company, attending hour-long brainstorm get-togethers while sipping Scotch, is long gone. Today it’s all about processes, analysis, and technology; choosing target markets through market analysis and segmentation and understanding methods of influence on the consumer behaviour1. And it’s all being monitored closely to determine the Return on Marketing Investment2. Nowadays the ‘Mad Men’ has more or less turned into ‘Math Men’. All of these new marketing disciplines are pursued with the overall purpose of creating better and more personalized customer experiences by meeting the customer where they are and when they want to be engaged. So how do marketers help create that? It’s reasonable to conclude that if you haven’t started yet, you better begin collecting tons of data about your customers and prospects, their habits and preferences, via social media, RFID tags, and GPS. The aim is to uncover hidden patterns, unknown correlations, market trends, customer preferences and other useful business information that can increase the value of your marketing and sales efforts. Yes, Big Data Analytics offer endless possibilities for your business. No one can deny. But - hold your horses - before anyone can start and finish a Big Data project successfully, one must master the very basics: the quality of your master data and the way to handle this data. • How do you (plan to) store, manage and govern all the new data from your Big Data Analytics Solution? • How can you take action against bad customer reviews and poor social comments if your systems are not capable of ‘talking’ with your customer and product data? What if your customer and product master data isn’t updated or perhaps even wrong? • How do you (plan to) make big data insights actionable across the entire organization? Most marketers still struggle with aggregation, alignment and analysis of data across disparate sources. A recent CMO Council Study found that 48 percent of marketers indicate that data is collected and analyzed but remains separate and is not well aligned. Only 3 percent say their current data sources are integrated and totally aligned, delivering a comprehensive 360-degree view of the customer. So before you even think of utilizing Big Data strategies, first things first: Make sure you master data is managed in a proper data platform that safeguards the quality of your data and is able to share it across systems and departments. Your data – also your Big Data - is only as good as the system and processes that collect it. That’s why a Multidomain Master Data Management solution should be the foundation of your marketing efforts.